Florent Aziosmanoff has created a new interactive version of Leonardo da Vinci’s Mona Lisa. 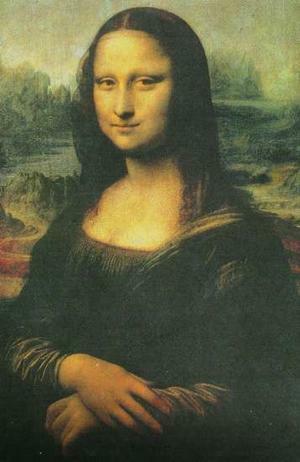 Named “Living Mona Lisa”, she’s equipped with the same motion sensing device that’s used in interactive video games. This allows her to pick up spectators’ movements and respond depending on her mood. Jean-Claude Heudin, who is the head of the Paris Internet and Multimedia institute, developed the artificial intelligence used in the “Living Mona Lisa”. This is what allows her to respond as she chooses to the visitors as her motion sensor picks up. Mr Aziosmanoff specialises in digital living art and it was his idea to recreate her in a modern format. She can replace her smile with a frown, follow her spectators with her eyes and pucker her lips. Her capabilities were produced by a team of 40 French technicians and artists over nearly a year. Florent Aziosmanoff chose the Mona Lisa because she’s one of the most iconic characters in the history of art. The painting hangs in The Louvre museum in Paris, but the digital versions will be sold in different sizes and formats for a few hundred euros each. Miniature versions will be available on a pendant surrounded by jewels and their prices will be dependant on the jewels surrounding them.